The greatest leaders in history are the ones that had a mindset to serve others. 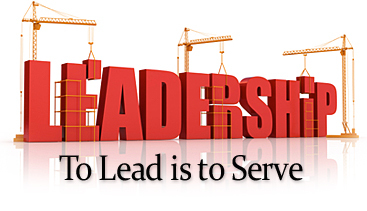 There has been a lot written about servant leadership and many today try to practice being a servant leader. But just how practical is that in the real world. When you have to get things done, ship your product or close the sale, how can you serve? It can be hard when the heat is on to be thinking about serving others. Yet if you want to be great you must learn the fine art of serving others as a leader. Here are just a few things I believe are important in having a servant leader mindset. changing and improving. The more you grow the more you can pour into the people around you. 2. Have a Vision - You have to know where you are going and be able to articulate that to your team on a regular basis. A servant leader is constantly reminding everyone about why we are doing what we are doing. Where we are heading and what the win is every day. Casting vision is vital to being a servant leader. 3. Think Strategically - A servant leader must be thinking ahead and planning. One of the best ways you can serve people is by being well prepared and by thinking of things that could wrong before they go wrong. This involves analyzing what is working well, what is not working well, what is missing and what is confusing. Going through that process with your team will help bring clarity to the work being done. 4. Collaborate - Servant leaders realize they don't have all the answers, so they will involve the people around them in the decision making process. They will ask what other people think and be open to new ideas and suggestions. They allow other people that know more about the situation to make decisions and then back them up. Servant leaders are also very open about what is happening and what is coming, they don't keep secrets from their team. 5. Empower People - This is one of the most powerful principles of servant leadership. It's developing people and then allowing them to do their jobs. Servant leaders do not micro manage unless a person needs that extra attention. Empowering a person is trusting them to make decisions, without having to always check with you first. This can feel risky at times, but it builds your team and develops leaders. People learn from mistakes and it allows you to coach your team along the way. truth and coaching them on how to get back on track. 7. Care About Others - Finally the people you lead need to know that you actually care about them. That they are more than just an employee that is getting results. This means you have to get to know your team. Find out about their family and personal lives and ask them how they are doing. It means taking time to have conversations with them and carve out time to have fun together as a team. If your all business all the time you won't connect with your team and your not serving them well. When you take time for people especially when they are going through a crisis it's a game changer - People don't care how much you know until they know how much you care.